Hey, so what is self-care and why does it matter that we do it when we’re trying to move out of people pleasing? Well, there’s a lot of reasons. The problem is when we’re people pleasing, we are only thinking about everyone else’s needs, and we have no idea what our own needs are. Self-care does not have to be complicated. It’s just a matter of making a point saying I matter as much as everyone else. Therefore, I’m going to take care of me today. It’s not just going to be about everyone else on my schedule. Self-care does not have to be just heading off on yoga trips or long weekends. 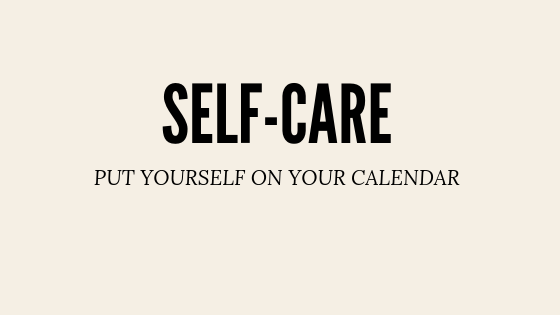 I think that’s part of what gets messed up with self-care is we think, “I don’t have two hours to devote to me, so I’m not going to do anything.” I want to challenge you to think about doing small acts of self-care throughout your day. – Listen to music you want to hear. – Having silence if you want. – Take a shower. PS- Make it extra long! – Drink coffee before anyone gets up. The problem a lot of people who have been engaging in people pleasing for a long time, as I did, is you have no idea what it is you even enjoy. An interesting fact about getting quiet and self-care are they go together but aren’t necessarily the same. Learning to be quiet leads to self-care and self-care leads to getting quiet. Self-care also requires action. Do something for yourself. What you want to do becomes more clear in your quiet time. I want you to work to implement both of these steps. Self-care is a simple concept that you might have to work to implement. That’s okay. Just don’t give up. You are worth all the effort. 1- Do one thing you enjoy that is for just YOU. There are a ton of small actions you can do for you each day. Don’t look for the large chunks of time. Instead look for even the small acts of kindness you can show yourself. If you are stuck on ideas, look at the list above and pick at least one for the day. 2 – Document what you are doing for you. Hold yourself accountable to a self-care practice. You can do this, but it’s a change. Doing for yourself is a change in your thinking and your actions. Hold yourself accountable for doing them! Write about what you did and how it made you feel. We get so stuck in people-pleasing, we don’t do anything for ourselves, and so it starts to feel selfish when we do. 3 -Take a deep breath, relax, and know that you matter. It’s okay to add yourself to your calendar! Take a deep breath and then do or say one thing you have wanted to do. Congratulations! You are on your way to embracing your life!